Please see below the latest up to date Winter Series results after 2 rounds. First Round at Monifieth 2nd Round at the Eden Course St Andrews. Round 3 in January will be at Troon Darley, Round 4 in February at Scotscraig and round 5 in March at Longniddry. 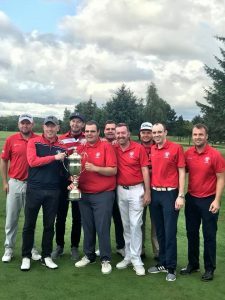 The 2018 Inter Club Leagues concluded at Bonnybridge Golf Club yesterday Sunday. The morning semi-finals saw Glenbervie overcome Dunblane New, and Stirling overcome Grangemouth. 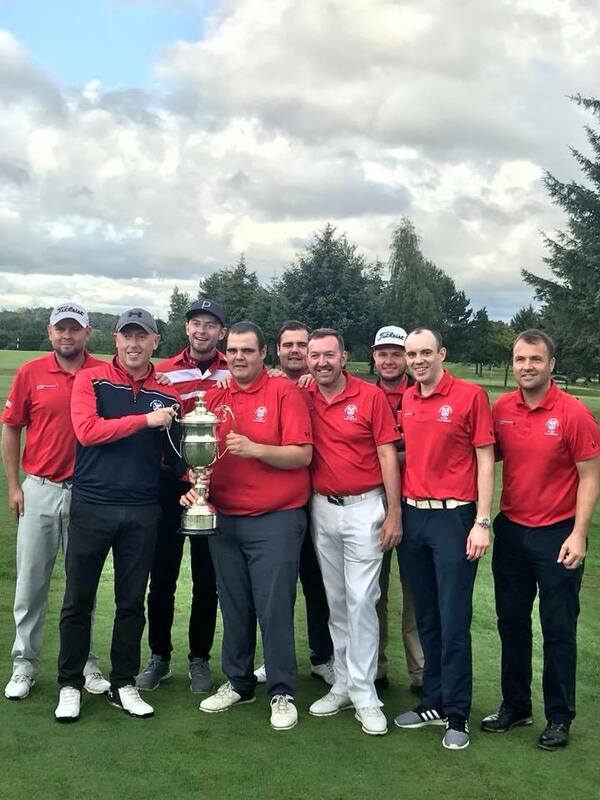 The afternoon final was a very tight affair with Stirling Golf Club eventually coming out as winners ending the Glenbervie dominance of this event over the past few years. The match was finally decided after the first extra hole following a 4-4 draw. The final of the first County 4 Ball Championship took place yesterday at Bonnybridge Golf Club. The match was played between Phil Reid and Stuart McLachlan from Bridge of Allan Golf Club and Blair Frail and Liam Breslin our youngest entrants from Callander Golf Club. Congratulations to both on reaching the final which was eventually won be Phil and Stuart. The joint AM AM between Stirlingshire Golf Union and SCCLGA takes place at Kilsyth Lennox Golf Club on Sunday 9th September 2018. All funds raised at this event go directly to coaching boys and girls in the Stirlingshire Area. Please support this event and fill the few spots still available. Team entry is £130. The entry fee includes morning roll and coffee prior to play and a 2 course lunch after play. Please see the start times below for this years event. 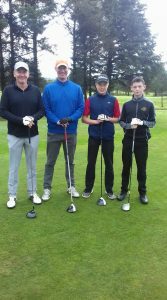 The Junior & Youth Autumn Meeting took place at Grangemouth Golf Club today Sunday. Congratulations to Lewis Clark who won the scratch prize with a 72 beating Ross Laird with the better back 9. Well done to all who took part in heavy rain at the start. 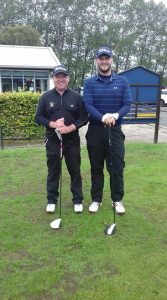 Congratulations to David Buchanan (Falkirk Tryst) on retaining the County Matchplay Championship today Sunday at Grangemouth Golf Club. David defeated Craig McGann (Dunblane New) in the final. Photograph taken prior to play commencing in the final. Congratulations to all who have qualified. The 2018 Scottish Club Championship takes place at Kinross Golf Club this year. After the qualifying yesterday at the County Strokeplay Championship I can confirm that Glenbervie have qualified to represent Stirlingshire with a total score of 437 beating Dunblane New by 1 shot.